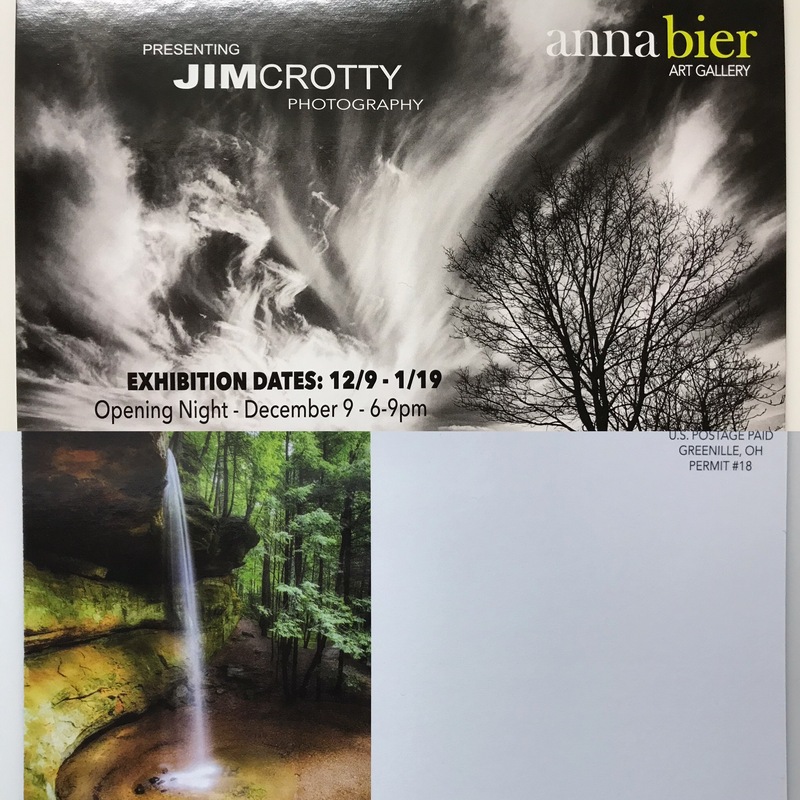 I will be displaying 30 large format, fine art nature and landscape prints representing some of my best work from over the last five years at the Anna Bier Art Gallery, located within the St. Clair Memorial Hall at 215 W 4th Street in Greenville, Ohio. 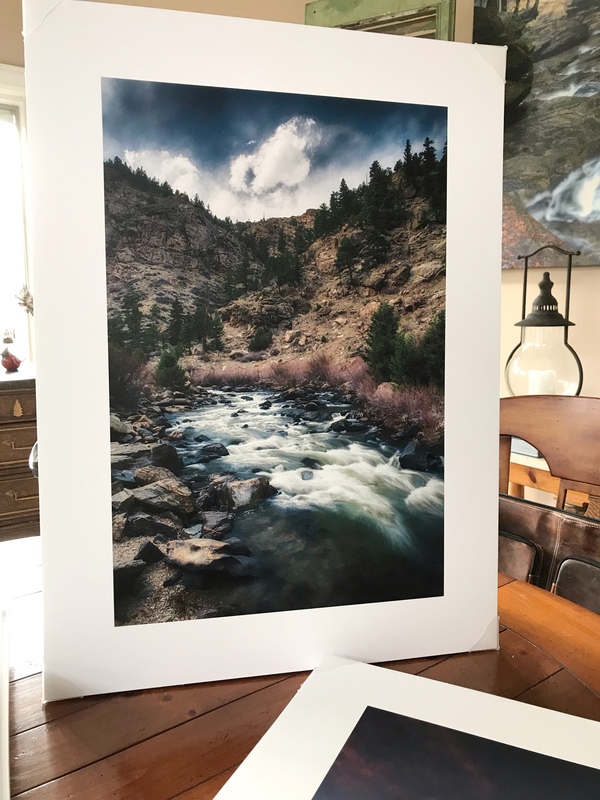 All prints presented will be for sale including 30″x40 canvas gallery wraps, 22″x30″ giclee prints on rag mat finish, and 20×16 giclee on fine art lustre paper. 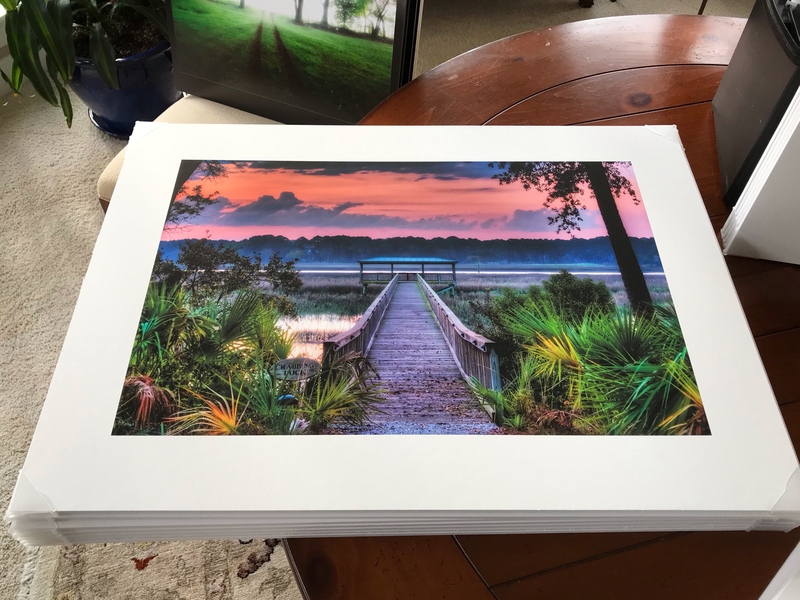 The images selected are also featured in my latest book release, “Soul-Stardust-Sandstone.” The exhibition runs from December 9 2018 to January 19 2019 with the opening reception on the evening of December 9th, from 6-9PM coinciding with the sold-out performance by the “Texas Tenors” singing group. 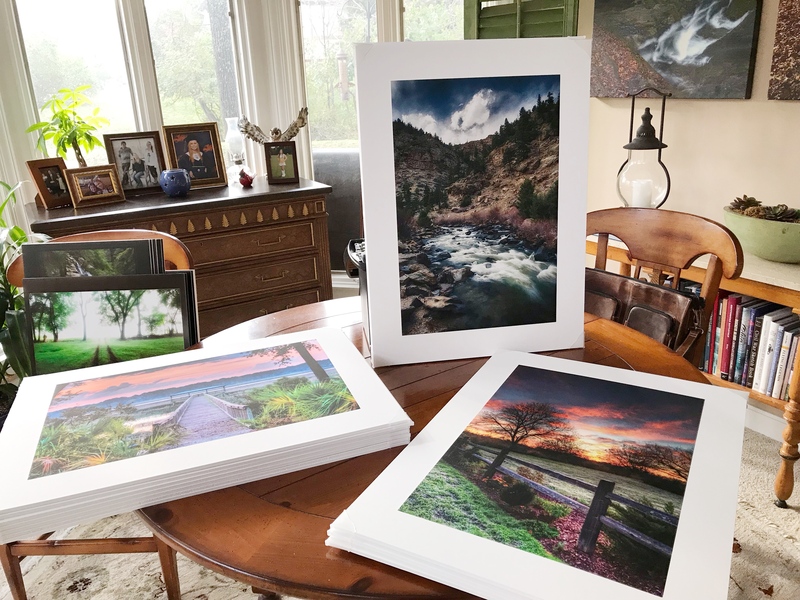 There is an excellent article written by local Arts Columnist Marilyn Delk for The Daily Advocate describing many of the prints that will be on display and my creative inspiration behind each image. The online version of this article is @ https://www.dailyadvocate.com/opinion/64471/dcca-news-every-picture-tells-a-story-2. I will be attending the opening reception of December 9th. 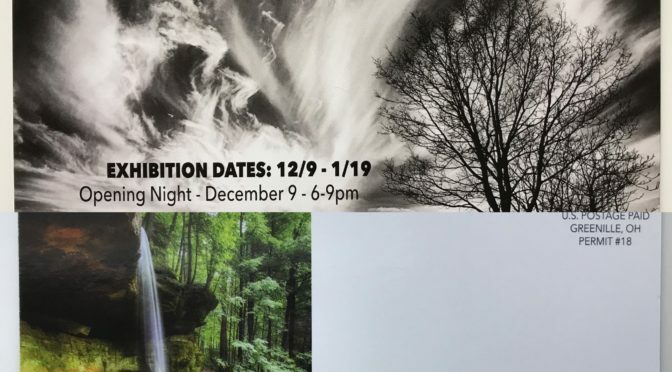 It would be great to see you there and sharing in the fine art print presentation of my visual discoveries and love for nature and landscape photography. 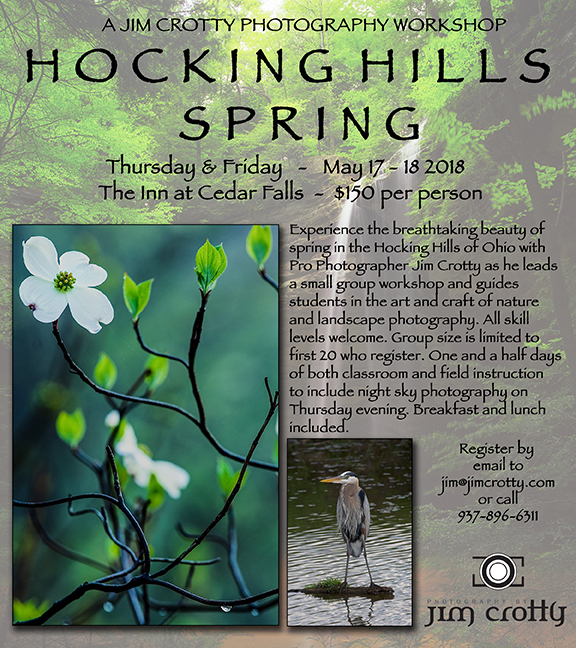 "Jim Crotty" "Ohio Photographer" "Anna Bier Gallery" "Fine Art Photography" "art show" "greenville ohio"
I’m happy to announce my next two-day photography workshop in Hocking Hills, set for early May 2019. This workshop will begin Sunday evening May 5th at The Inn at Cedar Falls and run through Tuesday afternoon, May 7th. 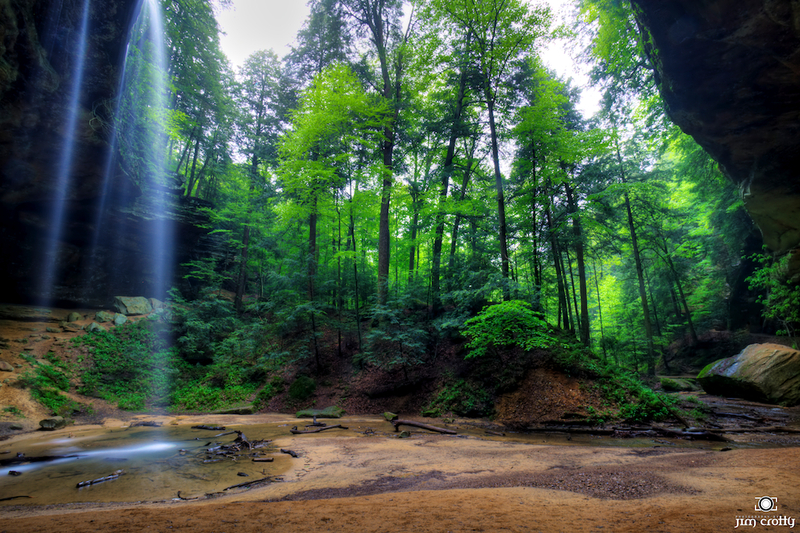 Early May is a spectacular time in the hills, hollows, and trails of Hocking Hills, with vibrant new growth and flowing waterfalls. 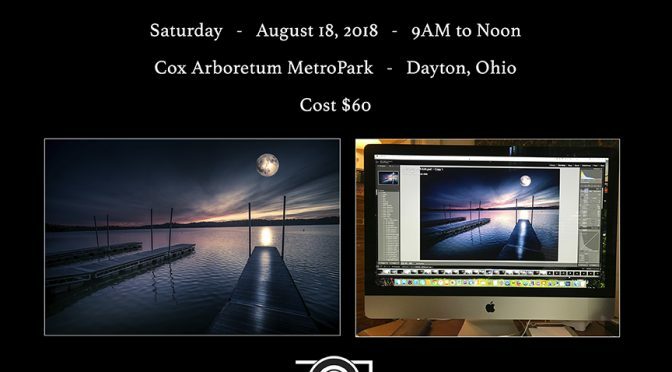 The cost of this workshop is $175 which includes expert guidance and instruction (I’ve been leading workshops in Hocking Hills for ten years! ), workshop handouts, and lunch on both Monday and Tuesday. My photography workshops are a fun balance of both classroom instruction and in the field guidance on the art and craft of nature and landscape photography. 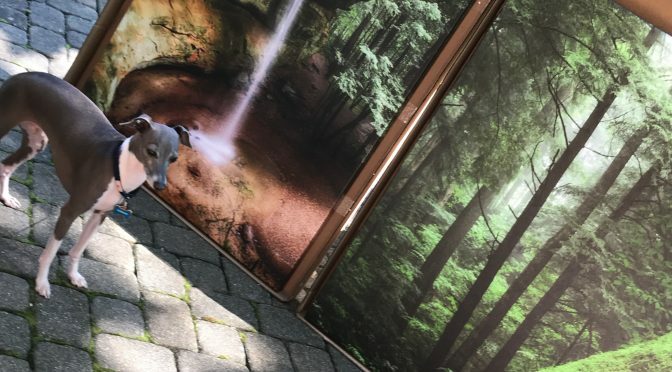 I welcome all levels of experience. All that is required is a DSLR camera body, a good lens, and a sturdy tripod. I limit my workshop groups to 20 students so that I can provide individual attention to each and every attendee. 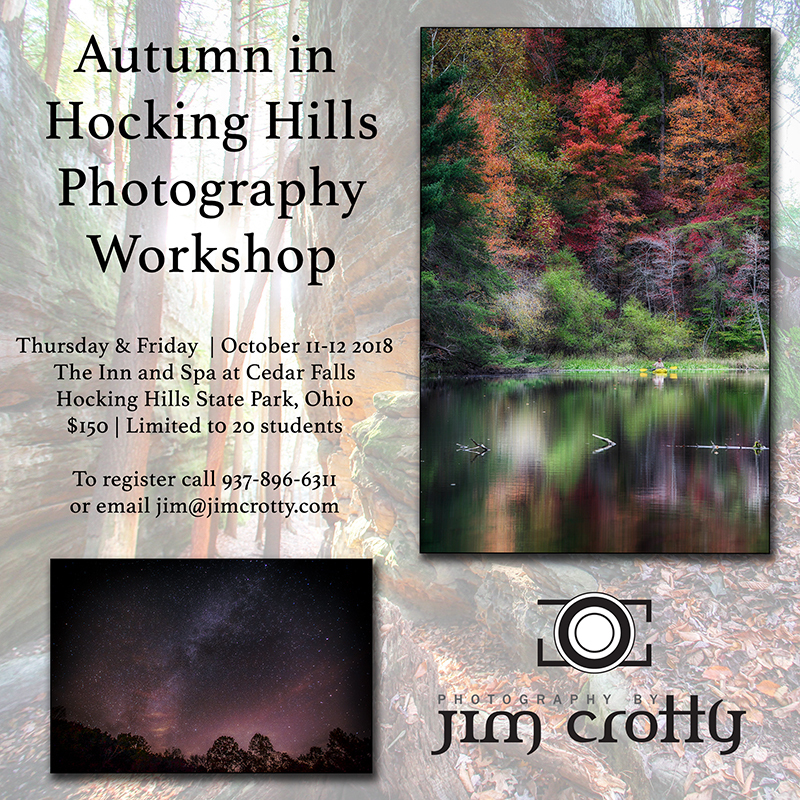 There are more details about this particular workshop at https://jimcrotty.zenfolio.com/photography-workshops. 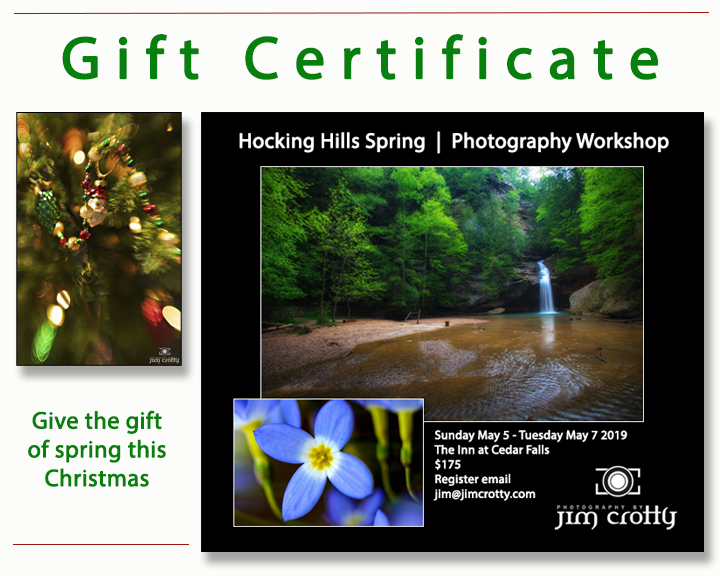 I have two upcoming workshops, here in Dayton and in Hocking Hills State Park. The first will be a three hour program on digital editing and image file organization using Adobe Lightroom and various plug-ins. It will be held in the Mead Theater Room at Cox Arboretum MetroPark near Dayton, Ohio on Saturday, August 18th from 9AM to noon. The cost is $60 per person, payable the day of the workshop. The second workshop I have scheduled is a one-and-a-half day program on fall nature and landscape photography in Hocking Hills State Park, Ohio. This program will be based at The Inn at Cedar Falls and will be a nice balance of both classroom instruction and field instruction. The cost per person is $150, also payable the day of the workshop. Already both workshops are half-full. I limit my class sizes to 20 participants, so hurry and register soon if you are interested in attending either one of these great learning opportunities. My workshops are open to all levels of photographic experience and ability. To register, email me or call 937-896-6311. Addition information regarding both workshops available at https://jimcrotty.zenfolio.com/photography-workshops. Tune-in to my YouTube channel for my next You Tube Live broadcast on Wednesday June 6th at 8PM EST for an opening discussion on all things photography. It’s been a long winter. It’s always a long winter in Ohio. I make no effort anymore at trying to hide my displeasure of Ohio winters. There are a combination of factors, both external and internal history. But I endure and hope for spring, which never disappoints. The light returns, life returns and positive energy flows again. Of all my years photographing the nature and landscape of Ohio I’ve come to find that period of mid-April through early June to be the most beautiful. 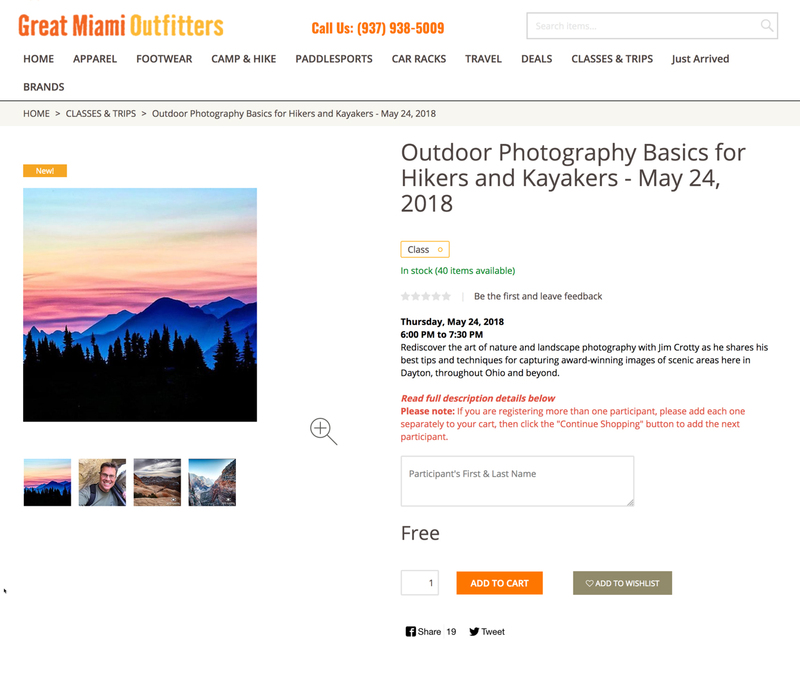 This is why I’ve scheduled not one, not two but THREE photographic workshop presentations for the month of May 2018. 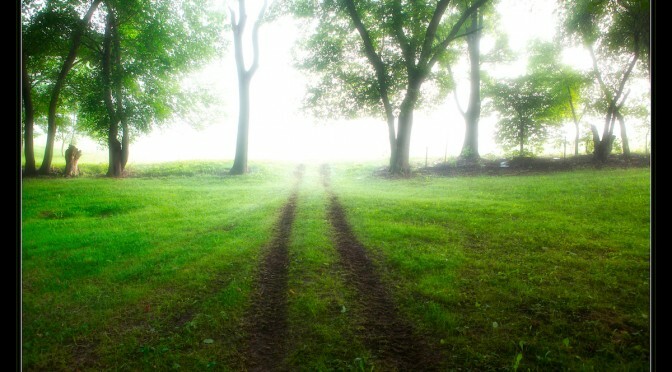 The first will be held on Saturday May 12th at Cox Arboretum MetroPark in Dayton. This is a full-day workshop on basic lighting and composition for both nature and outdoor portrait photography. It’s also one of the Super 1Day of Learning organized by the Professional Photographers of America. 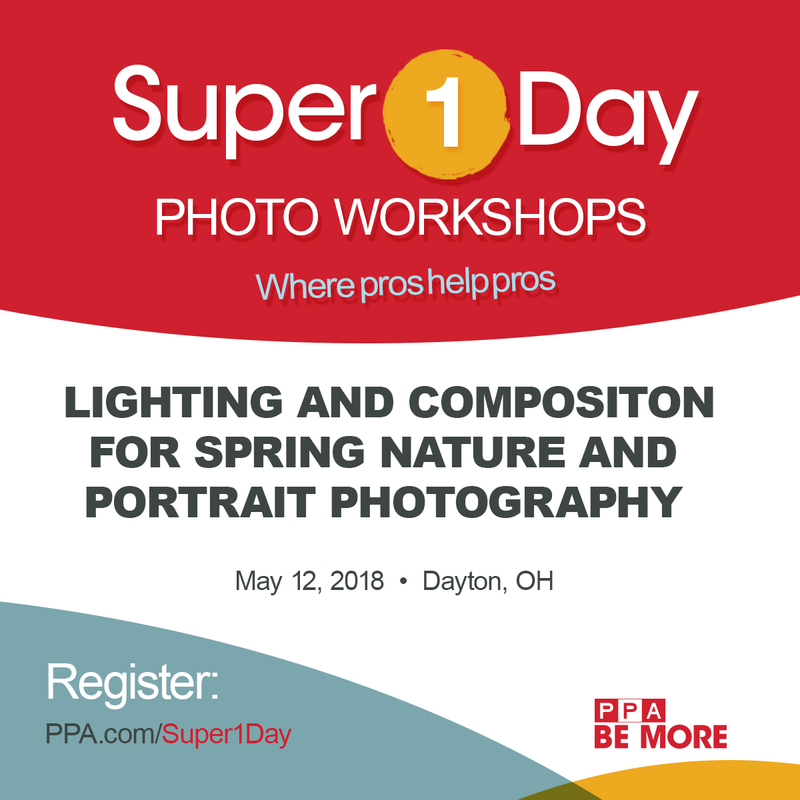 Open to both members and non-members, you can register via https://www.ppa.com/events/super-one-day. You do need to register to use the PPA web site, but there’s no cost to do so. 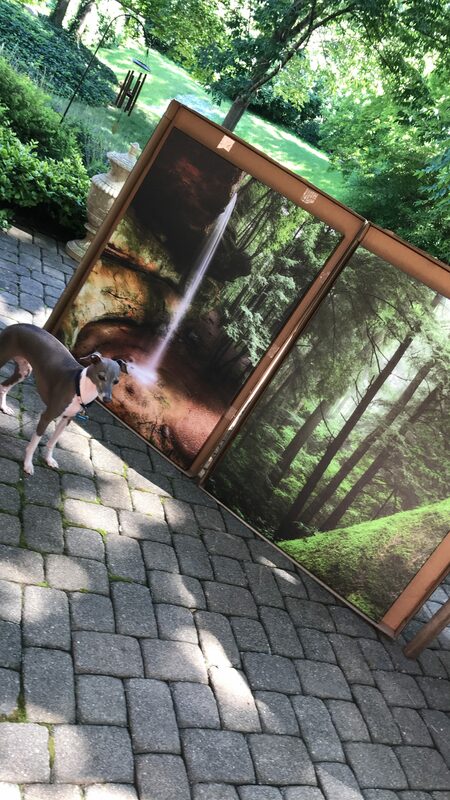 The second workshop will be a two-day program on Thursday and Friday May 17 – 18 at The Inn and Spa at Cedar Falls in Hocking Hills, Ohio. A segment on night sky photography (weather permitting) will be included. 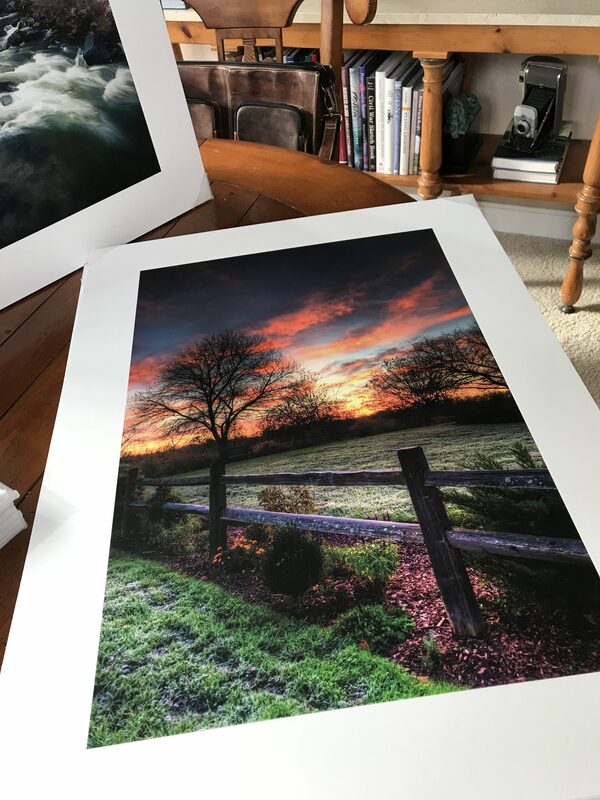 The emphasis will be on spring nature and landscape photography in what I consider to be the most beautiful month for photography in Hocking Hills. Group size is limited to the first 20 people who register. The fee is $150 per person which doesn’t include transportation and lodging. 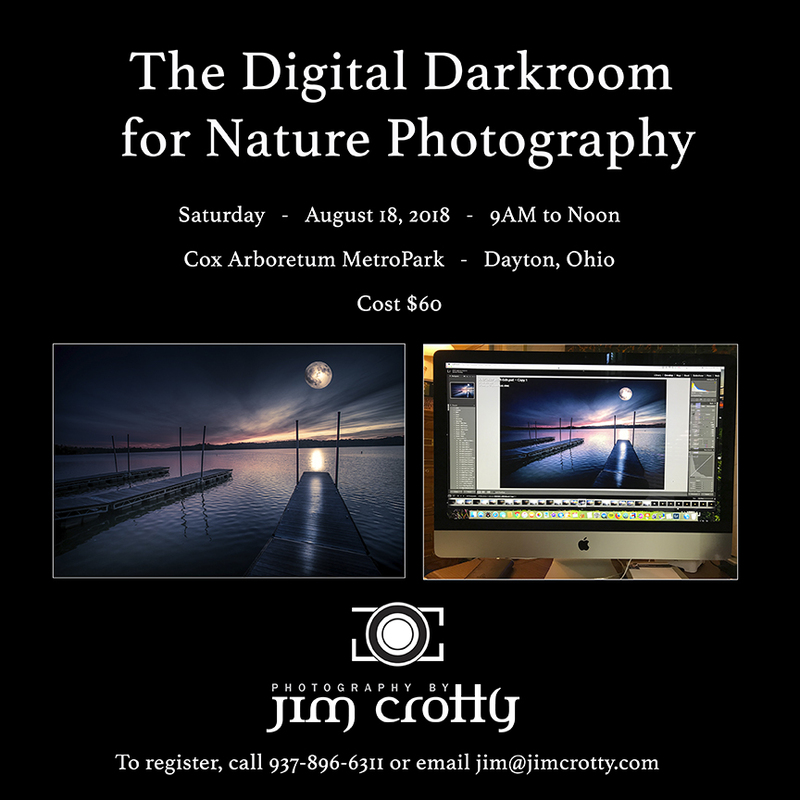 To register email jim@jimcrotty.com or call 937-896-6311. Now how is that for super-charging spring in Ohio? Winter has nothing on it 🙂 All good stuff.